STOCKTON - Dave Byrd's only appearance at Stockton 99 Speedway this season has been as a fan. He returns in a race car tonight. 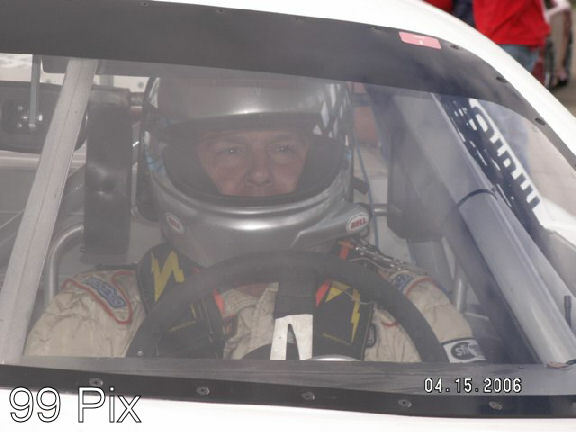 Byrd, one of the most successful drivers on the West Coast and a three-time Stockton 99 champion, will compete in the NASCAR Western Late Model twin main events at Stockton 99. The race program begins at 6 p.m. and also features the Grand American Modified, Street Stocks and Bomber divisions. Byrd, 51, has won 16 championships and more than 200 races in his 33-year career. He won his first title at Stockton 99 in 1994, and is looking forward to his first event at the track since it reopened in March after a two-year hiatus. It will also be his first chance to try out the new surface at Stockton 99. "It's a great place, and I really am looking forward to getting back there," said Byrd, a resident of Seaside. "I was back there to watch the races about six weeks ago and couldn't wait to get a chance to race. I saw how the resurfaced track was, and it's going to be fun to get out there." One of the reasons Byrd is coming to Stockton is to prepare for the Supermodified Racing League's Southwest Tour event on Aug. 8. Byrd is currently fourth in the series' standings. Kate Hagar, the WLM qualifying record holder, said she will be in the field today. Hagar, a member of the NASCAR Drive For Diversity program from Damariscotta, Maine, set a time of 13.576 seconds on June 13. Stockton 99 promoter Tony Noceti said he also believed Jacob Gomes of Manteca and the three Belletto family drivers - Harry, Jeff and Nic - will compete. The first WLM main event will be 50 laps, and the second 49 laps for a total of 99.